The space shuttle Endeavour is one NASA's three remaining shuttles that were instrumental in completing the International Space Station. It figures prominently in the crew's survival in the book, ORBITAL MANEUVERS. 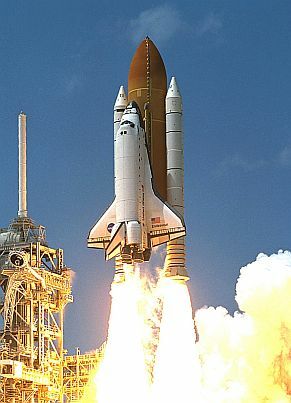 Endeavour (Orbiter Vehicle: OV-105), born from the ashes of the Challenger disaster and with some spare parts from the construction of Discovery (OV-103) and Atlantis (OV-104), the sixth shuttle to be built reached for the stars on May 7, 1992, as STS-49 (Space Transportation System), after a five year construction and test program. Its first launch to capture INTELSAT VI, among other tasks was very successful. 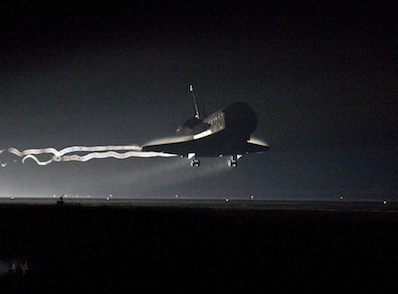 Endeavour flew its final mission, STS-134, coming back to Mother Earth on June 1, 2011 at 2:34 AM (EST). NASA's last shuttle to be built completed 25 missions, traveling over 122 million miles in 4,677 orbits during its 19 years of service. The image below shows the shuttle touching-down for the last time at Florida's Kennedy Space Center. 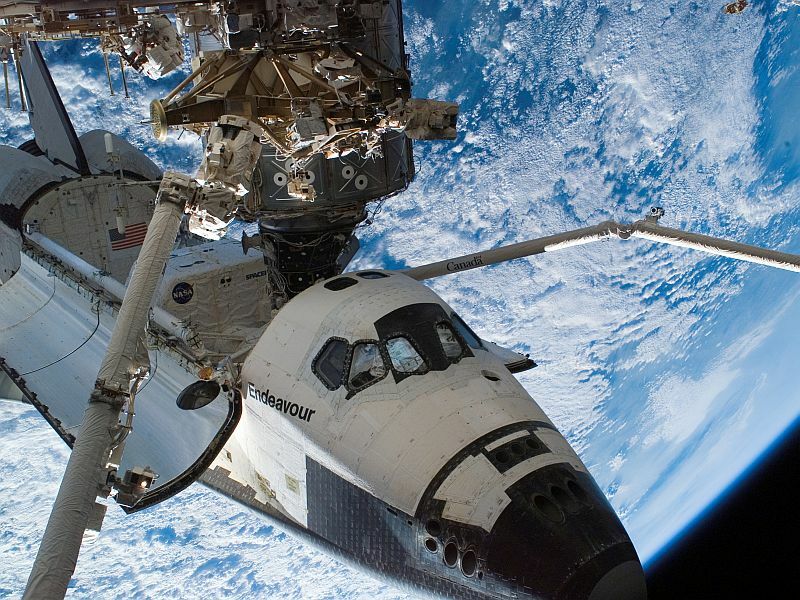 Endeavour was named after the HM Bark Endeavour, the ship commanded by the 18th century explorer, James Cook on his voyage in 1768 to the South Pacific to observe the transit of the planet Venus across the face of the Sun. This information would enable astronomers to find the distance between the Sun and Earth. Endeavour was also the name of the command module for the Apollo 15 mission to the Moon. The name was selected after a national competition for elementary and secondary school children to suggest a name for Challenger's replacement and write an essay explaining the recommendation. President Bush made the official announcement in May of 1989. · A 40-foot drag chute that reduced the rollout distance by 1000 to 2000 feet. 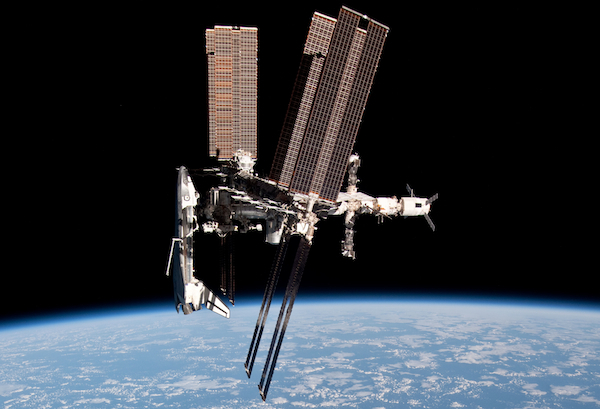 The space shuttle Endeavour docked at the ISS. The picture was taken by a returning Soyuz crew. 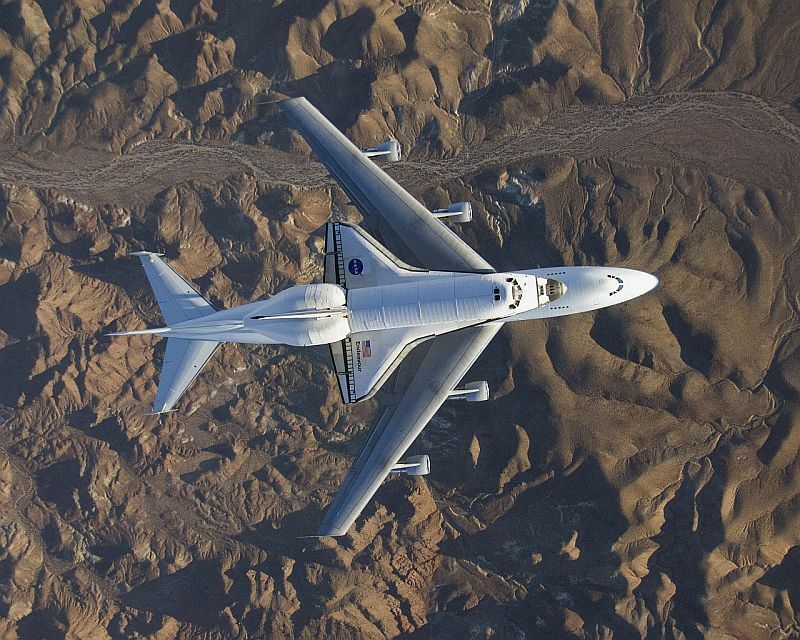 · First Shuttle to Fly: Enterprise (OV-101) - only used for approach and landing test flights. · Challenger - STS 51-L, was destroyed on liftoff on January 28, 1986, due to the effects of cold weather on faulty O-rings in the solid rocket boosters. · Columbia - STS 107 disintegrated as it returned from orbit on February 1, 2003 because of damage to the thermal protection system on the leading edge of the left wing by insulating foam that broke loose from the main fuel tank during launch.